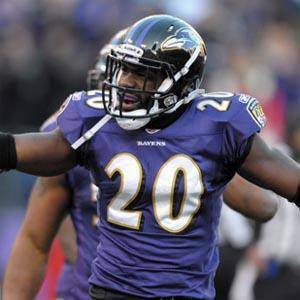 Former NFL free safety who won Super Bowl XLVIII with the Baltimore Ravens. He made nine Pro Bowls and retired with 64 career interceptions, including a franchise-record 61 as a member of the Ravens. In high school, he played basketball, was an all-district pitcher in baseball, and a state champion in the javelin throw. He played college football at the University of Miami, where he won the 2001 BCS National Championship. He grew up in St. Rose, Louisiana and lost his brother to a drowning accident. He and Ray Lewis were defensive stalwarts on the Ravens in the 2000s.